I know I have mentioned before that I will keep this blog up to date. I will! One day. The past 6 months have been a time of learning, growing and putting pieces together. As I have mentioned before we have started our Foundation. This was a long time coming, and I understand why. Not only is it a huge undertaking to start and to maintain, it is a lot of constant growth that we want to continue. We didn't want to just start the foundation for the sake of starting something. The foundation was started to make things easier, things we have already been doing for over 1.5 years. It is easier, but being in the beginning stages, we are still putting all the puzzle pieces together. I am proud to say we had our very first golf tournament, the Gavin's Golf Classic, this past weekend. Let me tell you, when I took a moment in all the chaos, to stop and glance into the ballroom of almost 300 people - I was overcome with tears (now you know that was a given), satisfaction, and a feeling of accomplishment. I am so proud of our board members, and our golf committee, and my family and friends. We did it! We had over 220 golfers, a raffle that took over 1.5 hours to raffle everything off, as well as a silent auction. In between we had dinner, drinks, laughs, tears and ..... money raised! I will take a moment and do an update with the tournament. We are still organizing pictures, and the like. I just wanted to again, post about the lack of posts lately, and my acknowledgement of it. It's a bit surreal. My blog a year ago, was what I relied on to voice my feelings, and have an outlet for Gavin, and in general a little bit of everything. 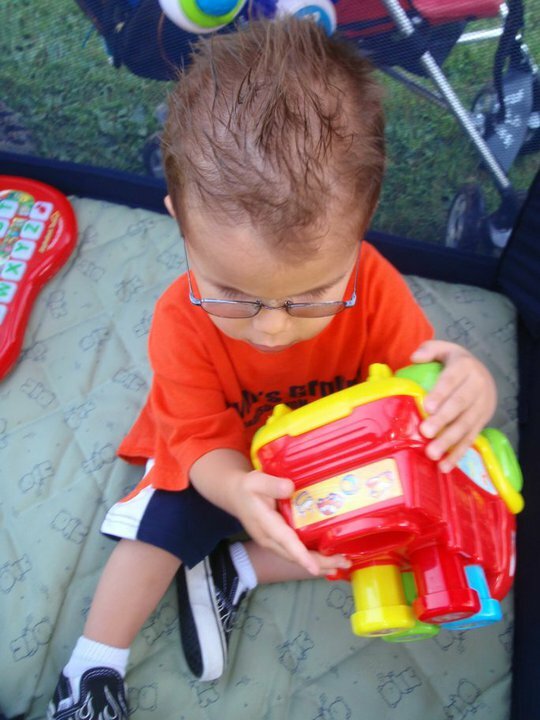 I never relied on this blog as a mommy blog, to post about my family a lot, it was started with Gavin, days after his diagnosis. 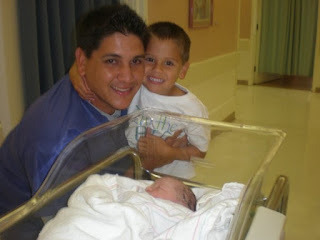 Since the blog, we had Hands Down Monkey website, which is the home of Gavin's Groupies. 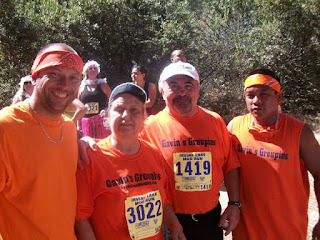 We started the Facebook pages for GG and the GRSFoundation. 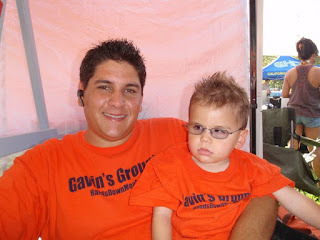 We have twitter for each of those as well, and now we have the Gavin R Stevens Foundation website. I, personally, maintain each of these. When I get down on myself for not nurturing this blog, I think of what we are doing, and where my time goes now. It is now board meetings, sub committee meetings, presentations, event organizing, marketing and social media, and list goes on. Figuring out the ebb and flow of life is essentially where I am right now. Trying to figure how to manage all of it with family. I will not let any of it get in the way of the heart of my family, and what we have within the walls of our home. We have not done an event because of this reason, and I am totally ok with it. It works for everyone! My mind is constantly on the roam for new ideas that are essentially my babies that in my mind I nurture for months so I can try to get it just right. Seeing these ideas come to fruition is pretty awesome. Our foundation has been a platform for that, and I am so blessed to be surrounded by such good people who want to see the foundation succeed as well! 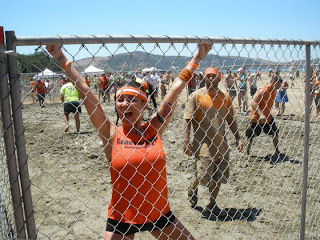 So, to say I am a slacker when it comes to this blog - I AM! But please don't just rely on this blog for our updates. 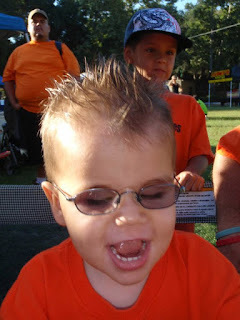 To keep up to date with our events, news, and the like please visit Hands Down Monkey or Gavin R Stevens Foundation, or find us on Facebook for Gavin's Groupies, GRSFoundation and my latest baby, The Braille Effect. It is so nice to see ideas come together, it's a mental checklist for me and weights lifted (feels like 100 pounds of 'em), when I finally get some time to put it all together. Phew! Slacker will be back soon to post an update on the Golf Tournament, I promise! I have had people ask me about our Newsletter, and you can sign up at www.handsdownmonkey.com, and we will be sending it from the foundation site soon enough. In the mean time you can sign up there and be included in our next newsletter! Thank you for still coming here to check out the blog. :) I see your visits and makes me happy. Hope everyone is enjoying Labor Day weekend. We are, but have been stuck inside the house. Landon has been sick, and so our fun has been indoors. We made one trip for yogurt and to pick up last minute school supplies for him (he starts 1st grade on Tuesday). He was wiped out... but made it through the shopping trip. It was nice to get out, if even for 20 minutes. Gavin has been figuring out his boundaries in the house, and with his walking. Now that he is not as wobbly on his feet, he is putting his hands out more, and concentrating better. Phew! I'm glad the "I'm just gonna run or walk wherever I want and not use my hands" phase is somewhat over. He's getting better, and it's so fun to see his progress! I will post some fun pictures soon. Since we have been stuck indoors, I finally took advantage of my time here stuck at home. 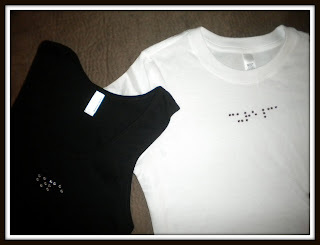 Besides the normal cleaning, and some TLC for my sick one, I finally put together my braille shirts. I have been wanting to do these for months now. I actually did a while ago, but didn't like the stones I used, and I neglected it for some time. I finally did some research, and found good stones for the adult shirts, and the lead-free pearlstuds for the children and babies. They came out great, but my camera (I hate that thing), does not do it justice. Needless to say, I put together a PayPal account, a Facebook page, as well as a blog for "The Braille Effect". I hope you check it out. I will be adding more as time goes on, as well as some greeting cards I am working on, and some more fun attire. 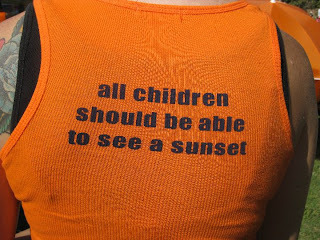 I will attach the one semi-decent picture I captured, but it 's moreso so you can see what the shirt and tank looks like. Please take a look and let me know if there is anything you would like me to "braille embellish" for you! My hope is to help promote braille literacy as well as raise money for the Gavin R Stevens Foundation, through The Braille Effect. PHEW! Is about what describes this house. It's a good craziness, but a crazy none the less. We are marching full steam ahead with our foundation. I am thrilled to be able to do fundraising, and know this money will directly go towards a great cause. 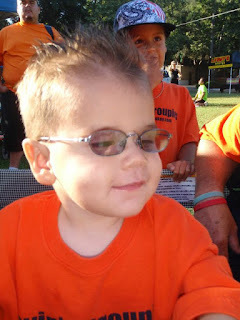 Money is needed to continue the research for a cure for Gavin, and for so many others. Let it be known (again)... I honestly feel Gavin is part of a much bigger picture. If it is his plan to live without vision (and a full, happy life at that), we have accepted that. But... BUT I will NOT let this disease go unknown. It is such a rare disease, and we want to raise awareness! Through Gavin we will raise awareness and money to help others who live with Leber's, and fight for their sight. With that being said, I introduce you to our first annual Gavin's Golf Classic. This is our second golf tournament, but our very first one for the Foundation! I am ecstatic! A golf tournament takes time, money, volunteers and more time. It is time consuming, we have our wonderful golf committee that we formed a few weeks ago. They are on their way to recruiting golfers, sponsors and raffle prizes! Following our golf tournament, we will have a dinner in the banquet hall of the golf course. 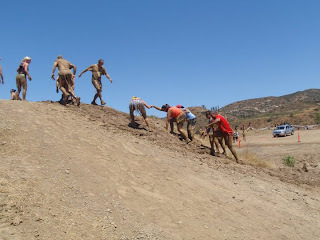 It is there we will discuss a little about the foundation, have an awards ceremony, eat and drink, and also have a spectacular raffle drawing. We will sell tickets for the drawing the day of the event, and we have some incredible gifts to give away! If you are a non-golfer, come to our dinner/raffle the evening of the tournament. 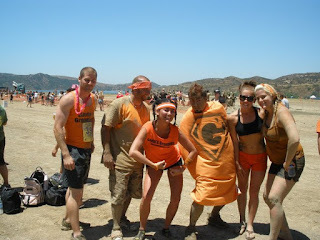 We had a lot of people join us for that last year, and it is SO much fun! September 10 is THE BIG DAY! We are having an afternoon scramble, and dinner will be following. All money rasied is going towards the Gavin R Stevens Foundation. Golfing for a great cause, can't get much better! So if you're in the area and would like to golf, please do so! If you own a business and would like to donate a raffle gift item OR interested in a tee sponsorship (they start at $100) and you get an 18x24 sign at the tee, as well as advertisement in our dinner journal. We also got a lot of these last year. Some people lived out of the city, but wanted to contribute, you can provide us with a gift card that will be part of the raffle prizes. A lot of people did restaurants, supermarkets, gift cards. It worked out so well... so there are many ways to get involved, should you choose to do so. You can read up about it here. Mind you, our foundation website is under construction. I'm hoping to get the content up this weekend. I will let you know when you can come back and take a peek when it's all up! 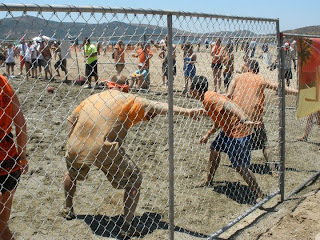 You can also see pics from last year. Foundation Fighting Blindness, Gavin's Groupies, VisionWalk, Hands Down Monkey, Gavin R Stevens Foundation. What is what? What do you do? How do you raise money? Do you sleep? We have been reaching so many people, and I have been getting a lot of questions in regards to the above. Let me try to clarify. I apologize to our new readers, or followers on Facebook and Twitter. I am still in the developing stages of the new website, and currently working on the content. Please bare with me! Once our foundation website is up, I think this will all make more sense. The below are some questions I have been emailed with, or variations of. Please let me know if there is still some details missing - I know we have our hands in everything. What is your affiliation with Foundation Fighting Blindness? FFB is a non-profit, nationally recognized organization, whose goal is to find a cure/treatment for blindness. 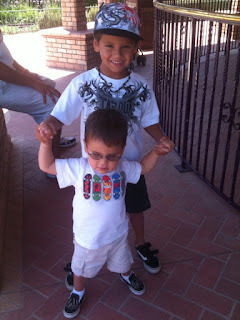 I found FFB last year, days after Gavin's diagnosis. 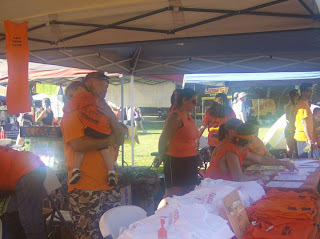 Each year they have VisionWalk, which is their signature fundraising event. It takes place in various cities across the country. We were at such desperation and sadness last year, FFB and VisionWalk helped us. We got a team together in 3 months, and raised over $9,000 in 3 months. 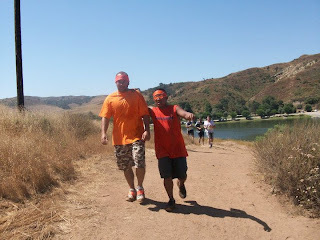 I was then asked to be the Walk Chair, and on the board for our Orange County Chapter. I was honored, and accepted the position. Since last year, we have raised over $22,000 for the Foundation. FFB is my second family, they are near and dear to my heart. What is Gavin's Groupies? 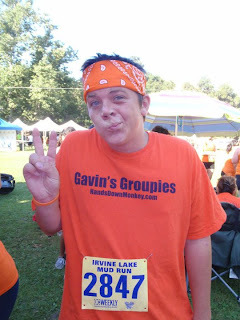 Gavin's Groupies was our team for VisionWalk in '09. Since then, whenever we enter an event, and need a team name, we are always Gavin's Groupies. It's catchy. We have shirts, wristbands, visors, and the list goes on with Gavin's Groupies. Every "member" of our new foundation (more info below) will be officially considered a Gavin Groupie with membership, (and other goodies). 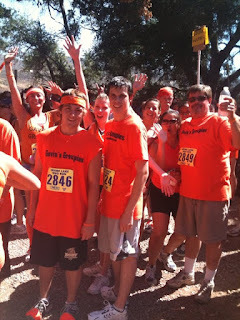 Gavin's Groupies is our team name, but is also the name of all our supporters. :) It kind of stuck, I created a FB and Twitter name for Gavin's Groupies, and the rest is history. What is the Gavin R Stevens Foundation? Troy and I started a non-profit, 501(c)(3) organization, GRSF. The reason behind this was, I wanted to start something whose focus is on the exact disease Gavin has, Leber's (LCA). I want to raise awareness and increase funding, specifically for this disease, and not just blindness in general. LCA is so rare, approximately 3,000 in the country. Something needs to happen to really vamp up the research and awareness. No one better than people who are emotionally tied to this disease, than those affected. I can't wait around to wait for a cure, or for someone else to take the reigns and make a stink. We will! Thus GRSF was born. It's been a year trying to put this together, lots of money, research, blood, sweat and tears. Ok, not that drastic, but you get the idea. It's been a long time coming. Why the GRSF when you have FFB? 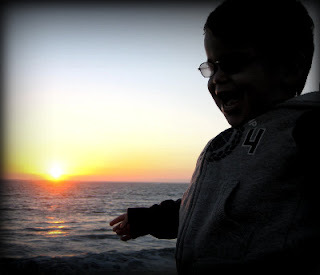 I chose to form GRSF, only because FFB donates towards many diseases, as far as research. I adore what FFB does, they cover it all. They have made great strides in supporting research for LCA as well, and I am so fortunate for that! Don't worry, we are not cutting off our support of FFB. 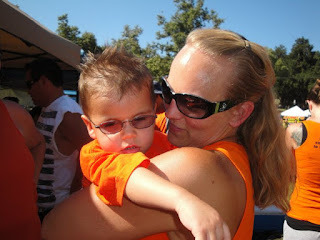 We will always do VisionWalk, we will always fundraise for them. You can't abandon the support that has brought you to the place where you are. 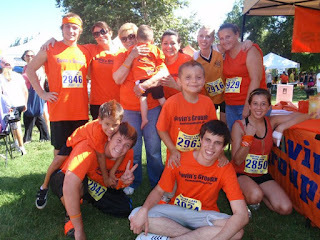 My hopes is we can cross promote, and I already have plans for next year, using GRSF to help FFB with VisionWalk. Stay tuned! 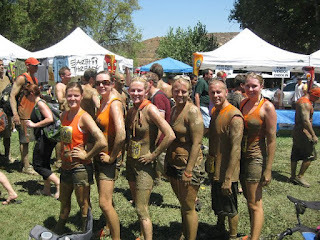 Why the Mud Run? 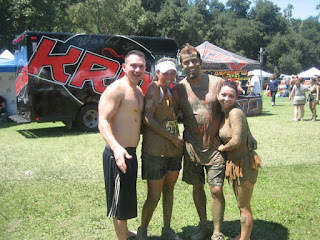 Recently we did the Irvine Lake Mud Run in Orange, CA. 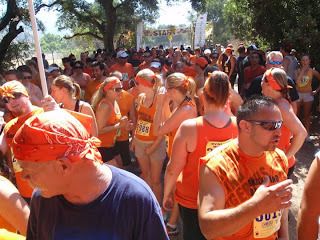 This is our second one, and if you combine runners from both events, we had a combined team of 520 people! 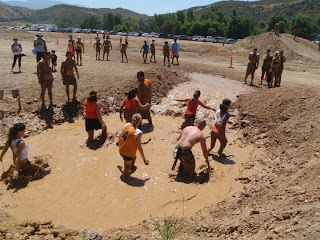 Mind you, these are all people who ran in the mud, to help us raise awareness! None of the money from the registration was donated towards GRSF. We kind of fell into this, and turned into a great thing. We were featured in an article on msnbc.com, OC Weekly and a few magazines, and other newspapers. We have booths setup with Gavin's Groupies merchandise, literature, and endless volunteers, ready to answer your questions about Gavin, LCA, our foundation, and how to get involved. There are over 5,000 people there each day, so we reach a lot of people! This is why we did it again. It's not just about raising money, it's about educating. :) This is a great place to be able to do it. 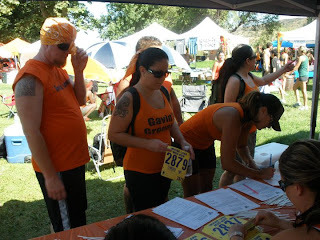 We actually held our own fundraiser within our team, and our runners were able to take part in our pledge program. We raised close to $2,000 with this, just from others pledges. Are you doing another Night without Light? Yes! Do I have dates yet? No. I'm sorry I don't have a definite answer on this. We want to wait until the cooler months of the year, and have been talking about this fall/winter. We have other potential events in the upcoming months, so once we solidified those, we will be closer to an answer. I will definitely keep you posted. Will your upcoming fundraising events benefit GRSF? Yes. We have already been receiving checks (thank you so much) to our new PO Box (so exciting) made out to GRSF. Aside from that, our fundraisers will benefit GRSF. I hope to raise $1 million dollars very soon, but will first shoot for $100,000. We will be there soon.. sooner than I think we know. Where will you donate money from GRSF? We are working on that. We have a general idea of where we want our money to go (towards research), but specifically we need to find where. It may be one specific place, or a few. We are talking to people about this, and communicating with where the money would best benefit. I will keep you posted. I am so excited to be able to cut a check, very very soon! Side note: All our Board of Directors are volunteer, we do not have salary employees. We are not benefiting from any of the money raised, we don't want to. Why do you do this? Because I love it. It is a mission. I am a walking fundraiser. I had no idea this would be my path. I was very career driven, climb that corporate ladder, make more money, blah blah blah. Then I had kids. Then I had a child with special needs, and a disease I cannot help by kissing his beautiful eyes. We are starting the foundation with no money going into it, our own personal money to start it, and I couldn't be happier. I have never been more fulfilled, doing something I love, living it, breathing it, sleeping it. This is truly my passion, and I make no money doing it. I make connections, we will change lives... and Gavin is part of a bigger picture, and I am so happy to pave that path. It's challenging, it can be exhausting, but I have never been a part of something more rewarding. Doing something for others is where I belong. I guess on that note, since my kids will have me up in 5 hours, I should actually try to get some sleep. I hope I covered it all. If not, PLEASE leave me a question in the comments and I will add it to this post. I love the questions, so nothing is off limits. I know we are doing things all over the place, but thank you for your involvement, and continued support. I can't wait what tomorrow will bring! 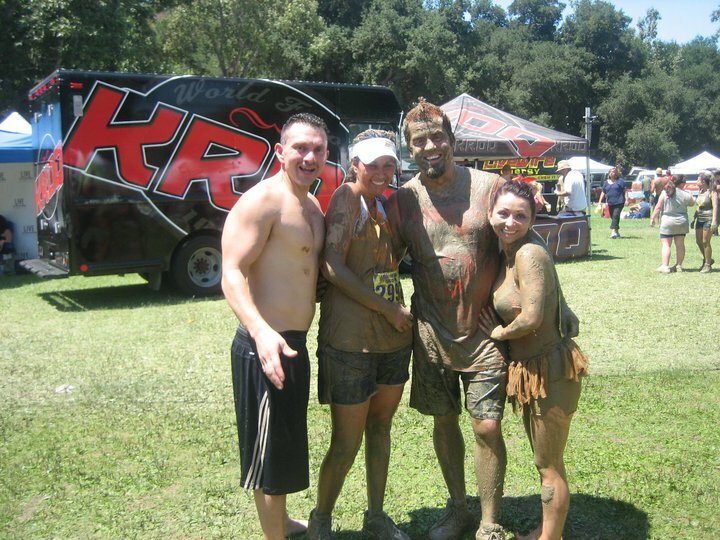 Irvine Lake Mud Run - Summer of mud, Gavin's Groupies raising awareness of blindness. We had runners, we had walkers. We had adults, grandparents, great grandparents, teenagers and children. We had new friends, we had old friends. We had families, individuals and babies in strollers. People we went to high school with (and hadn't seen since), neighbors, friends of friends, and new people just happy to join our cause. I had tears of thankfulness, many moments of joy, many hugs and laughter. We walked away with more strength, admiration and love for those who continue to support us, and an even more grateful heart. 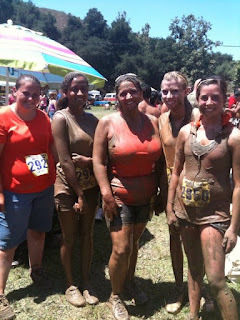 We had fun, we got muddy -- and mission was accomplished! The course at Irvine Lakes in Orange, CA. 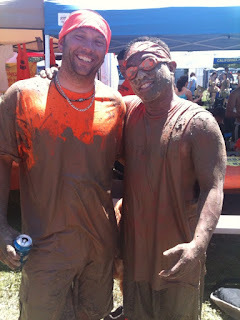 We did our first mud run in April, I wrote about it here. We had 50 more people this time, and ONLY 60 people were returning, which means in just two months, we had 180 new people join us! I'm trying to hurry and get our booth ready for the crowd. Our registration desk. We had over 240 people JUST ON OUR TEAM! We had to check in all of them, have them sign the waiver and give them their number. They had a great process, thanks guys for working so diligently! That's my cousin Cody on left, friend Megan, my aunt Michi (in back), and my sister Karyn on right. It was very hot in the booth, with not a lot of air flow. This is Grandma Alice and some of her grand kids/great grand kids. If everyone had a grandma Alice, the world would be a better place. 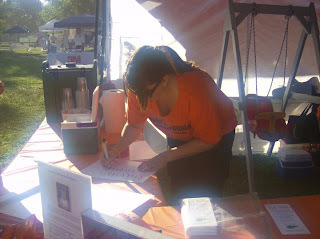 You will always find her working our booths and talking about her great grandson, Gavin. I'm so happy my cousins who could come, did. It's always so nice to have your family with you! Many people came early, to avoid traffic. They hung out in front of our booth. 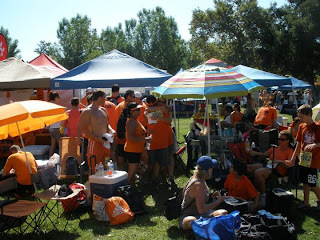 It was so awesome having our team mingle with each other - ORANGE was everrrrywheerrrre! Summer and her buddy, Gavin. Cousin Kyle and his infamous smirk. Gavin staying cool in his playpen. 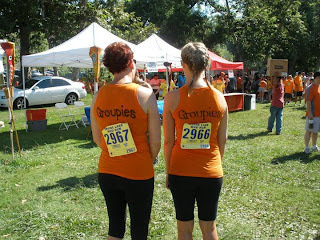 They made their own Groupies shirts, love it! 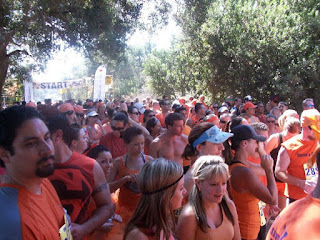 Shot of my family before they took off running. L-R James, Sharlene, Chuck and John. Sharlene joined our team, with her guide Chuck. Sharlene is blind and likes to be active, and often runs marathons, half marathons, has cycled across Europe and that's just a brief rundown of what she has accomplished. 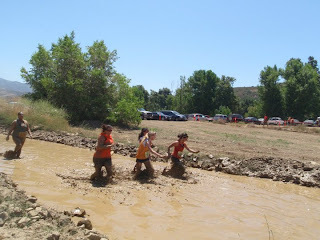 This was her very first mud run! I was touched to have her and Chuck with us. John (team captain) ran with blacked out goggles, so he could get a sense of what it's like to do this without vision, rely on a guide, and use his other senses to help him complete the race. He said he was very humbled by the experience. James was John's guide throughout the race. 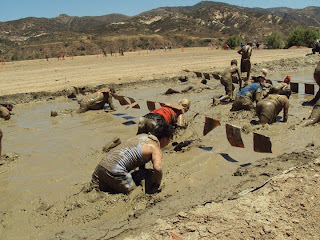 Next time you don't think you can do something, think about Sharlene! She has inspired me. This photo speaks many words, but most of all - resiliency and perseverance. 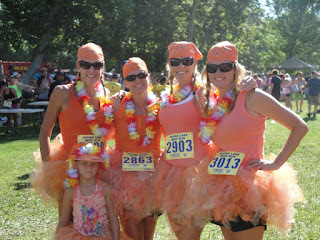 Groupies at the Start line, getting ready to go! 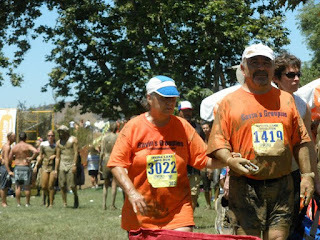 The great people who run the mud run, have been SO extremely supportive of us and our cause. They give us a terrific platform to be able to get people involved, and just makes us want to strive for more, and do more. A special thanks to all of them! They put on a fun event! 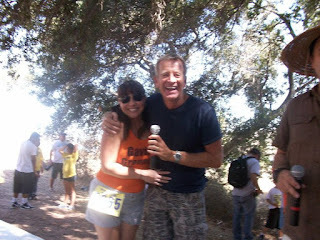 Richard Blade was again doing the announcing. He's always so great! He talked about Gavin, our cause, and handed the mic to Troy so he can say a few words to our team. Troy thanked everyone, and told everybody how much we appreciate them for being there and running for Gavin! Look at all that orange -- WOW! That's just our team! John being guided by James. And some bubbles. They even had a kids race. 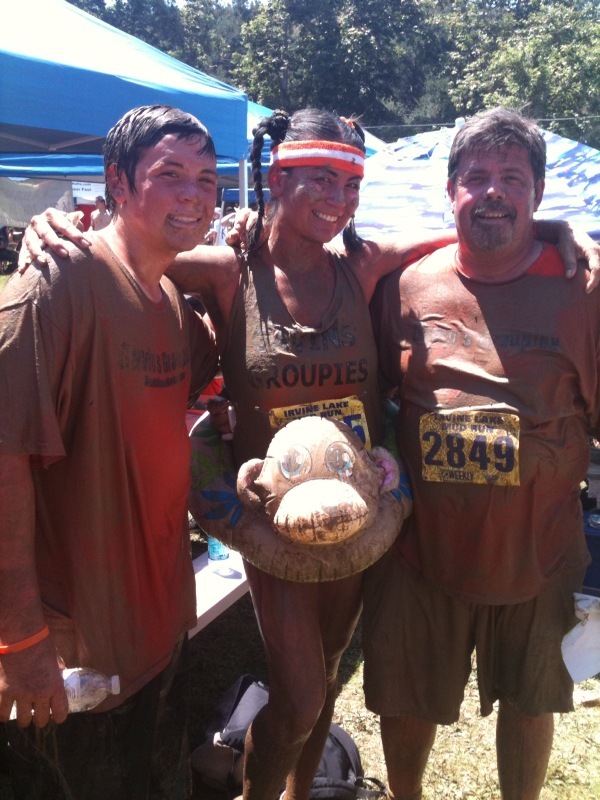 Sharlene and Chuck, just finished! 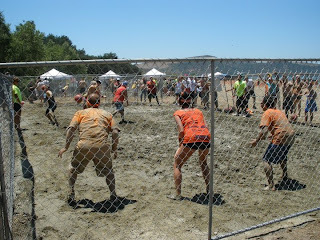 We also had a team enter into the Dirty Dodge ball tournament, that took place after the mud run. We took 2nd place! This was brutal. 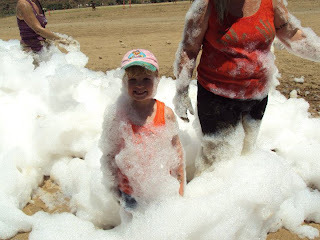 It was blazing hot, and they did not mess around! My sister in law, and niece Maya. 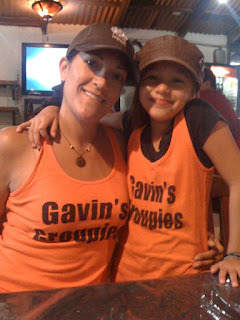 They couldn't be with us because they are on vacation, so they brought Gavin's Groupies to Costa Rica! We have close to 200 pictures on Facebook of the event, please check them out on Gavin's Groupies page. 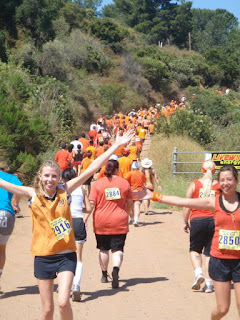 Trish joined us and ran with us, and wrote about it. Thank you Trish!